A mix of clouds and sun. Slight chance of a rain shower. High 67F. Winds NNW at 10 to 20 mph..
Mrs. Juanita Hopkins LaPorte, age 83, a resident of the White Cliffs Community of Sevier County, died Monday, April 8, 2019 in Texarkana, Texas. She was the oldest of three children born to Luther and Zeddie Crosslin Hopkins on May 3, 1935 in White Cliffs. She attended school at the White Cliffs Community School and worked as a CNA. Before retirement, she worked for the Swoperidge Nursing Center in Missouri and as a private care nurse. 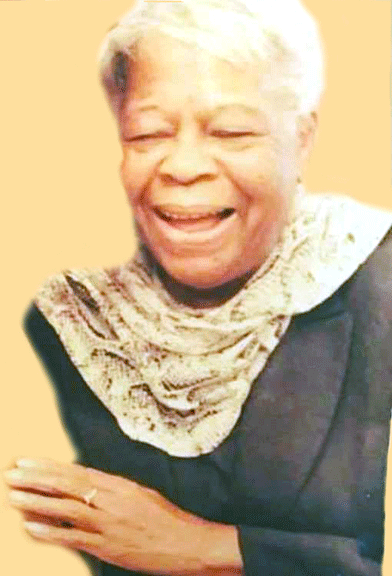 She was of the Baptist faith and a member of the Mount Zion Missionary Baptist Church in White Cliffs. She was preceded in death by her parents; her husband, George E. LaPorte; two sons, Ronald Keith Booker and Douglas Lydell Booker; four daughters, Diann Hopkins, Janice Booker, Marlene Canady and Francine Canady (McGee); and two brothers, Dorris Luther Hopkins and Leodis Hopkins. Survivors include six sons, Arnold Booker, Jr., Larry Darrell Booker, Ernest Eugene Booker and Billy Odell Booker, all of Kansas City, Mo., Bobby Oniel Booker of the White Cliffs Community, and Maverick Lamar Canady, also of Kansas City, Mo. ; 30 grandchildren, 48 great-grandchildren and 13 great-great-grandchildren; as well as, nieces, nephews, other relatives and a host of friends. Funeral services were held at 12 p.m., Saturday, April 13, 2019 in the Scott’s Memorial United Methodist Church, Paraloma, with Rev. Calvin Marbles officiating. Burial followed in the Brownstown Cemetery, under the direction of Chandler Funeral Home, De Queen. The family received friends from 11 a.m., until service time, Saturday, at the church. You can send an online sympathy message at www.chandlerfuneral.com.